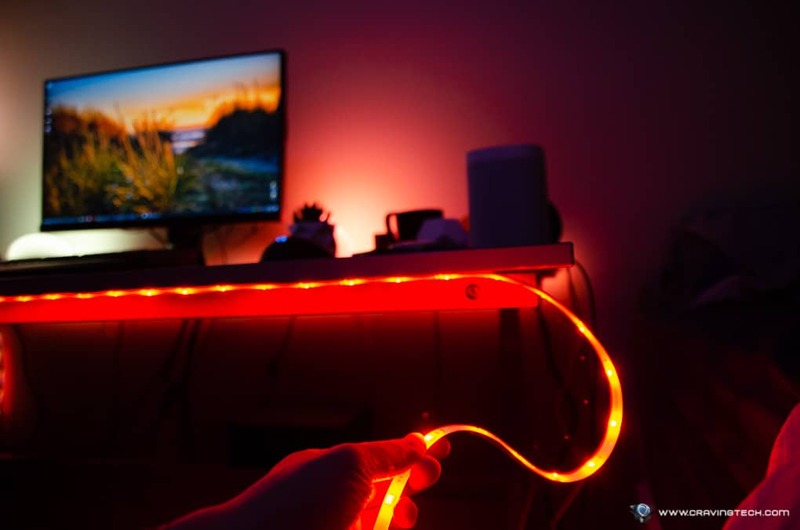 Yeelight Aurora Lightstrip Plus Review – I have the whole Philips Hue set up in my room, along with their bulbs, lamps, and the lightstrips (check out my article on the Philips Hue Sync to see them in action). 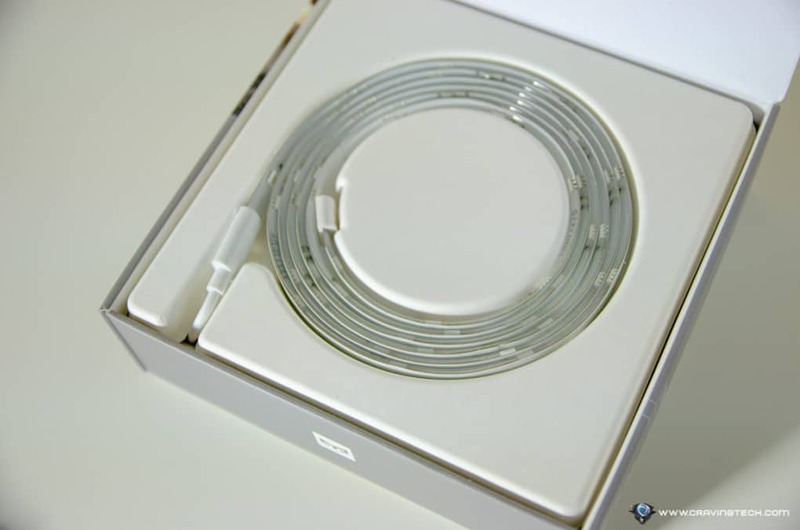 While they work really well together and also support Apple HomeKit, they come at a premium price. Even if you are just after the Philips Lighstrip Plus to complement your smart home, you’d have to pay around A$125 here in Australia. 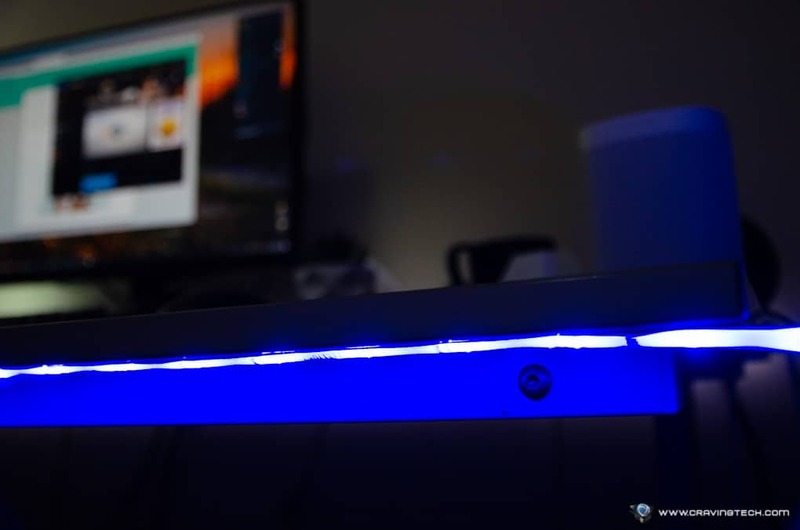 With Yeelight Aurora Lightstrip Plus, however, you can get a smart, working lightstrip with just a fraction of the price and you don’t have to pay much for an extension. 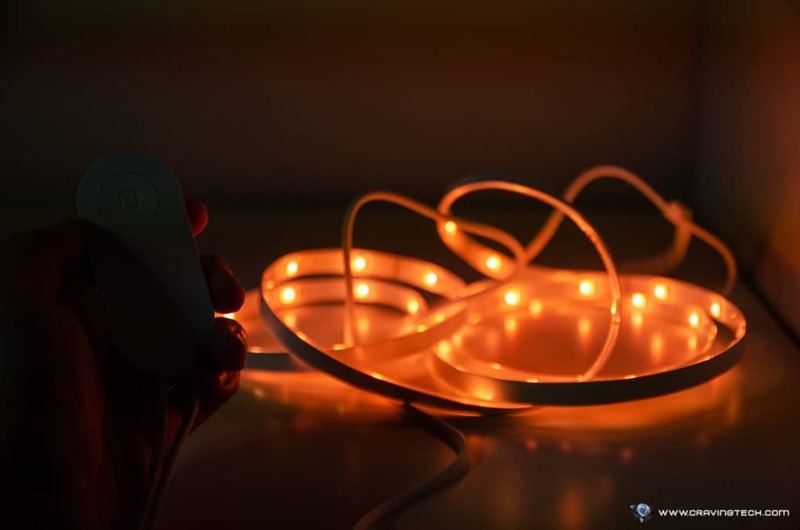 Yeelight Aurora Lightstrip Plus comes with a great length (both the lightstrip itself [2 meters] and to my surprise, even the power cable), so you’ll have no trouble setting it up wherever you like. Thanks to the generous cable length, I’m definitely going to set the Aurora up on the ceiling when I move house next month, but for now, this goes under my desk. 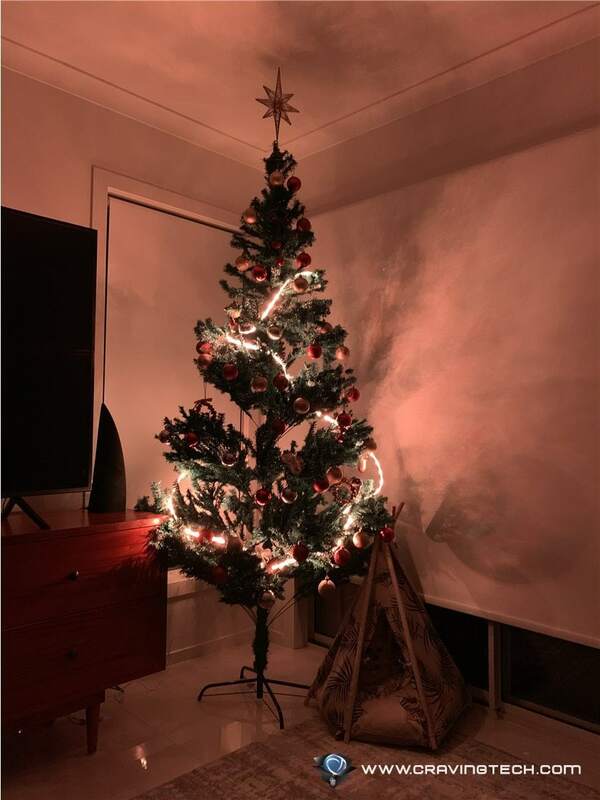 It supports over 16 million colours that you can change from the free app, but there are some presets that you can change to using the lightstrip switch. 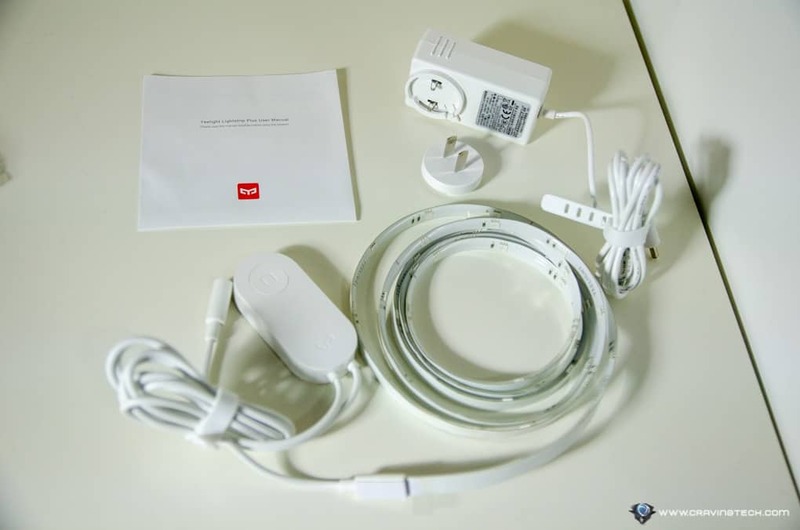 If you have the lightstrip on the ceiling, near your bed, or above your kitchen bench, the switch will be very practical and useful. Pressing it quickly will turn the lightstrip on and off, and pressing+holding it will change the colour to a different preset colour. Through the app, you can also change the brightness of the lightstrip, set up preset scenes, group with your other Yeelight smart home devices, and more. 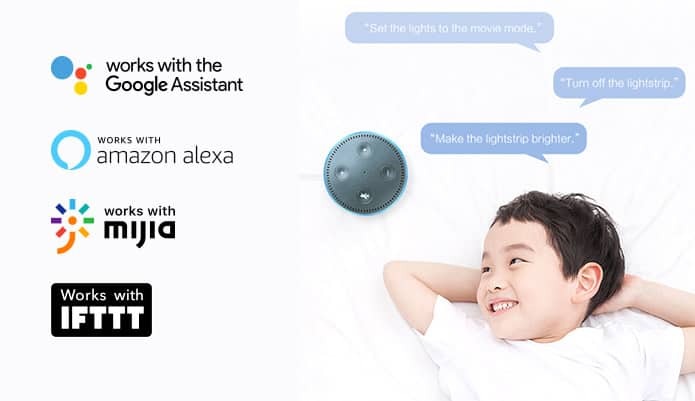 But if you have an Amazon Alexa device like the Sonos One, Yeelight Aurora Lightstrip Plus can also be integrated together. 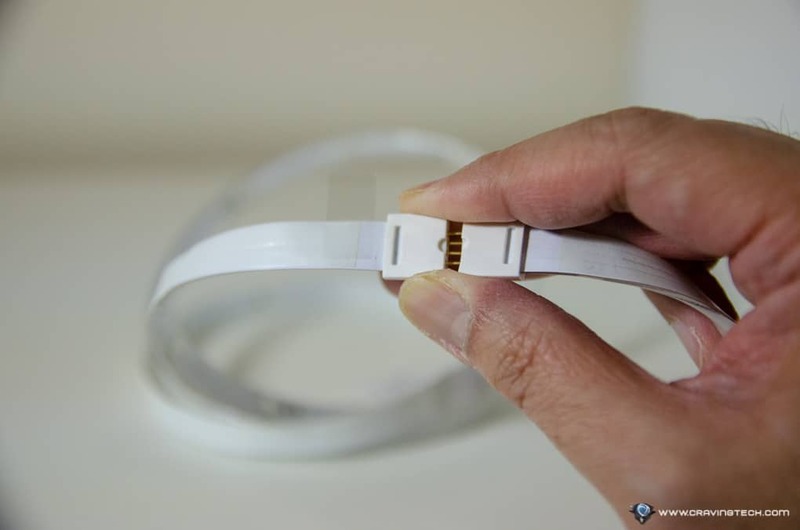 The smart lightstrip also supports IFTTT and Google Assistant. 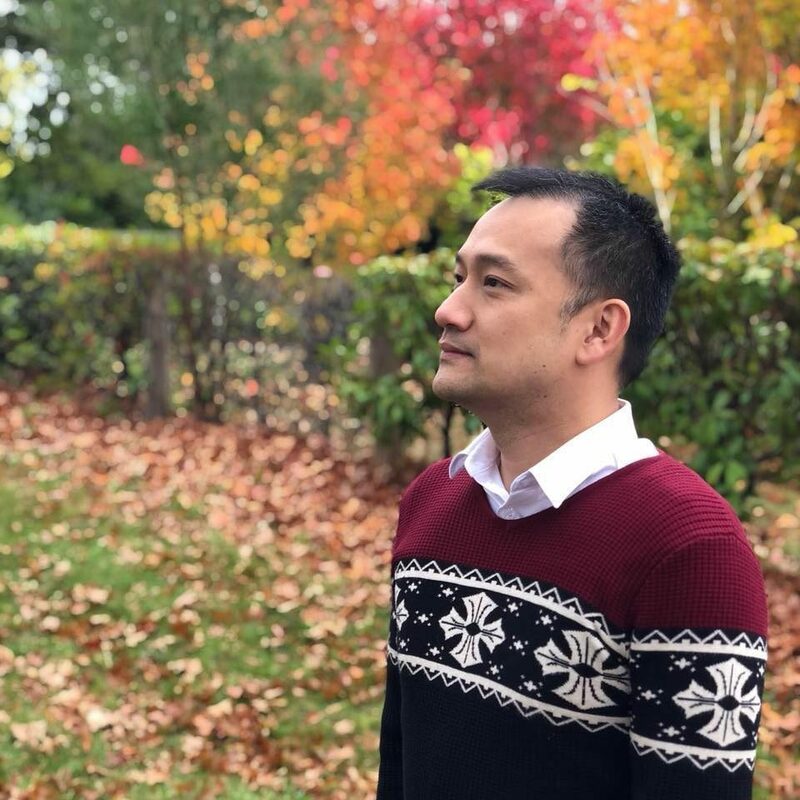 And if that’s not enough for you, developers can develop their own applications to discover and control Yeelight Aurora, thanks to the 3rd party control protocol offering APIs to those who want to integrate Yeelight Aurora further. On the setup phase, I find that the Aurora is pretty flexible and easily bendable to my liking. 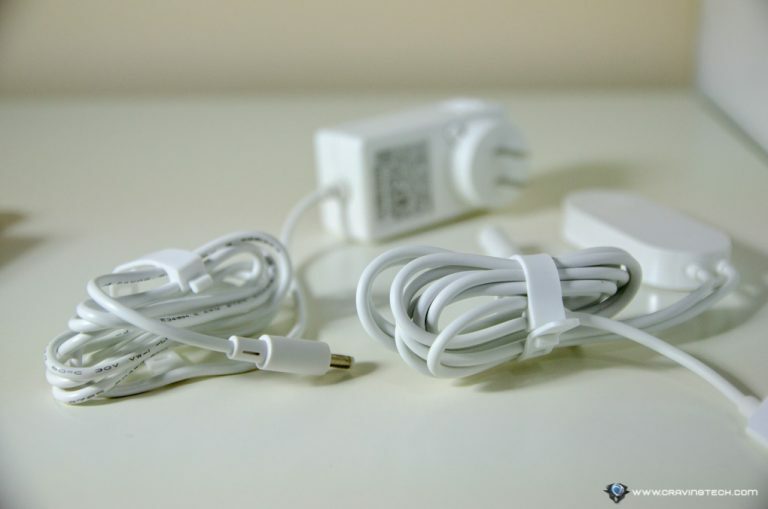 It shouldn’t be a problem to install it in tricky places and corners. 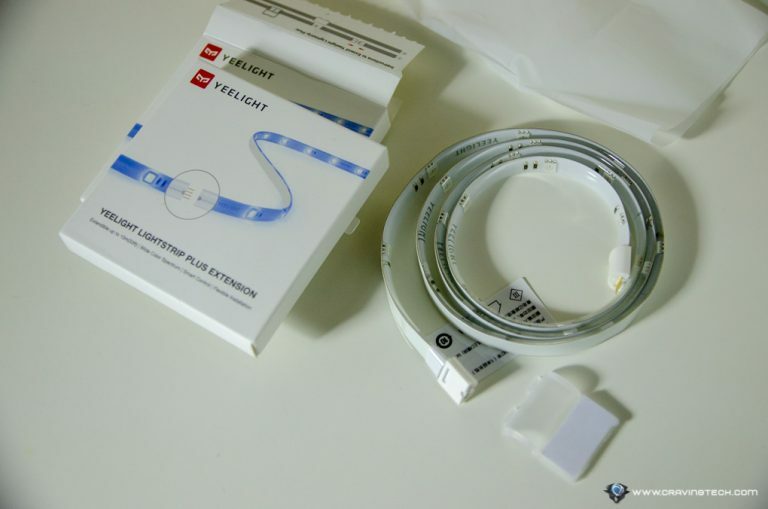 My review samples came with the 1-meter Yeelight Lightstrip Plus Extension which can easily be plugged to the existing Yeelight Aurora Lightstrip Plus to further extend the light show, covering even more areas. 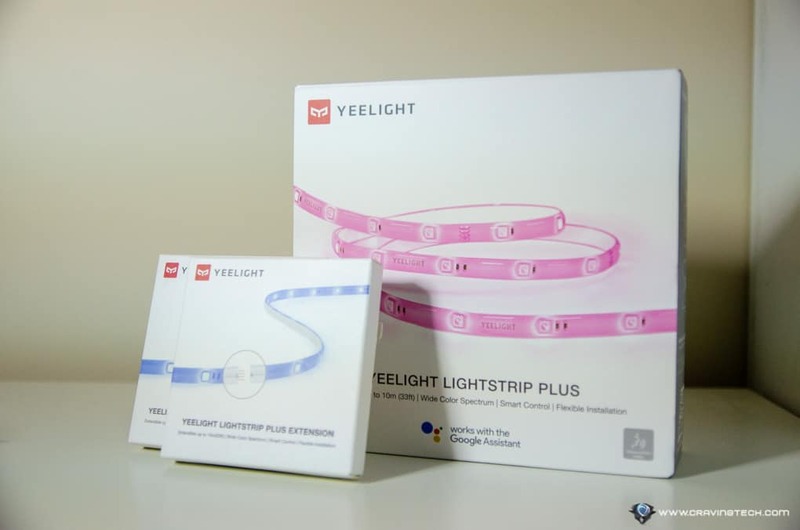 I’m very pleased and excited with Yeelight Aurora Lighstrip Plus, considering what it can offer (smart home integration, easy extension, comes with a physical switch) and especially for its price. 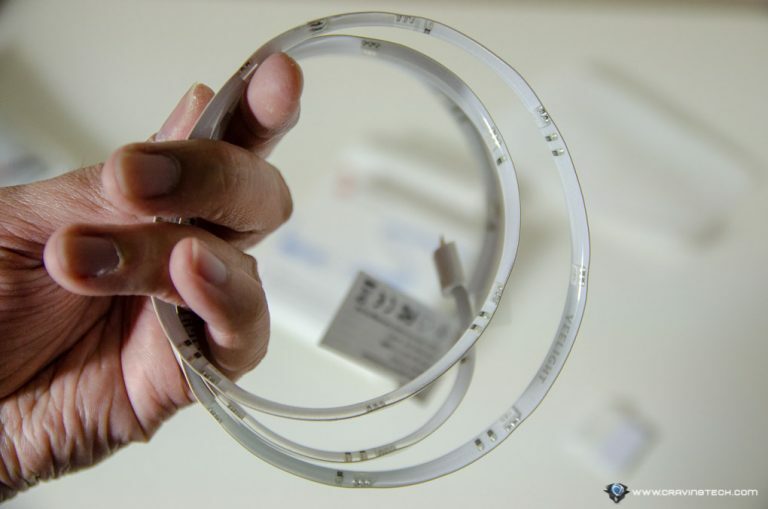 Unlike the Philips Hue, you do not need to connect it to a Bridge/Hub and it’s also cheaper to get more extensions if you want to cover a wider area of your home (up to 10 meters). Note that the Aurora does not have Apple HomeKit support, but supports Siri Shortcut, so you can use Siri to turn it on and off. 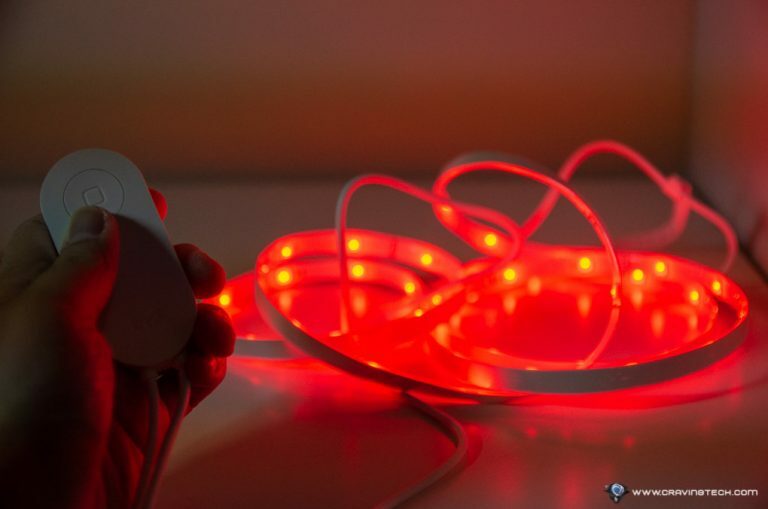 Yeelight Aurora Lightstrip Plus is launching in about 3 weeks and you can head off to the Indiegogo page to check for more details about the product, back, and order one for yourself. It has now reached around 600% of its original goal.